Orlando, FL, USA — accesso Technology Group plc (AIM: ACSO), a premier technology solutions provider to leisure, entertainment and cultural markets, announced that it has signed a five-year agreement with Schlitterbahn Waterpark in New Braunfels, Texas, voted the world’s best waterpark for 18 years straight*, to integrate the accesso LoQueueSM virtual queuing solution’s Qband device into the popular park’s operation. Beginning this summer, Schlitterbahn Waterpark New Braunfels will begin offering Blast Pass, a wearable virtual queuing solution designed for use in water parks. Using touchscreen kiosks located throughout the 70-acre park, guests can save their spot in line for the most popular of the park’s attractions. 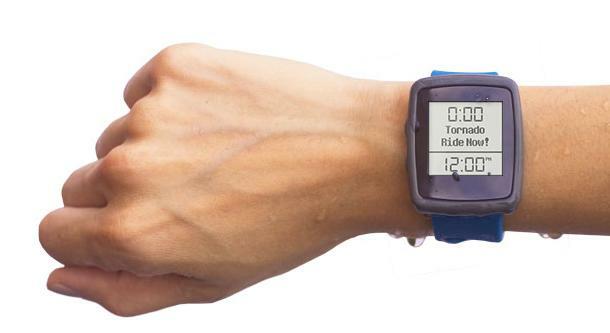 The RFID-enabled wristband features a countdown display that notifies guests when it’s their turn to slide. This is the first implementation of accesso queuing technology in Schlitterbahn’s portfolio of parks. “Destinations like Schlitterbahn understand their guests want an entertainment experience that maximizes their time in rides and attractions and limits the time they spend actually standing in line,” said Steve Brown, accesso CEO. “We’re thrilled to partner with Schlitterbahn to provide their guests the Accesso LoQueue virtual queuing technology to enhance their experience in the park. *As selected as part of Amusement Today’s annual Golden Ticket voters.